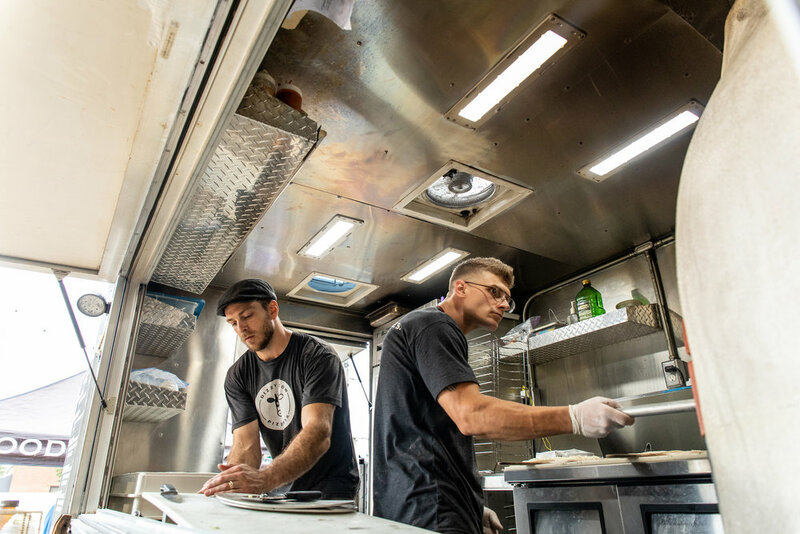 World-class pizza in a casual mobile setting. We provide handmade, artisan, wood fired pizza from a mobile wood fired oven. Using excellent quality ingredients, slow fermented dough, artisan meats, and local produce we create a truly unique pizza unlike anything else. Serve everyone's favorite food at your next party or private event. Choose your favorite or make it your very own. Where will we be next? Come find us and enjoy some 'za. Ready to wow your guests with some damn good pizza?